Putter analysis service: Is your putter really right for you! Custom-Fitting: Your current putter can be easily adjusted to optimum specifications for your putting stroke! Member - International Clubmakers Guild, Golf Clubmakers Association, Association of Clubfitting Professionals, World Scientific Congress of Gulf Trust (U.K.). Widely recognized as the most technically advanced, state-of-the-art golf facility in the Northwest Corner; featuring an array of services and laser/electronic equipment not available elsewhere in this area, on or off - course. Serving area golfers, golf shops, PGA tour & club professionals since 1997! • Custom-Fit Golf Clubs tailored to your swing and budget. • Professional Club Fitting Studio with Launch Monitor. • Putter Analysis & Custom Fitting. • Electronic Shaft & Club Analysis. • All Repairs including Antiques. • Shorten or Lengthen Shafts. • Electronic Shaft (Spine) Alignment. 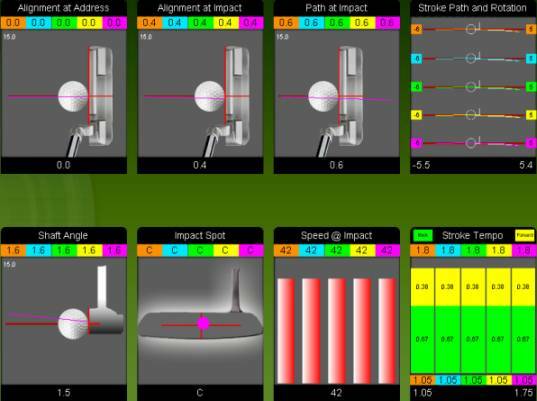 • Precision Loft & Lie Measurement and Adjustments. • MOI (Moment of Inertia) Fitting. Drivers, Fairway Woods, Irons, Hybrids, Wedges, Putters. • Shafts: Aldila, Fujikura, Grafalloy, UST, True Temper, Rifle, etc. • Grips: Golf Pride, Winn, Star, Avon, Lamkin and many OEM’s. • Louisville Golf: Handcrafted real Wood Clubs & Putters. • Bag Boy & Datrek: Stand and Cart Bags. • Bag Boy: Pull Carts & Bags. • Datrek & SKB: Travel Cases. • Stinger: Aerodynamic Long Tees. • SoftSpikes: Cleats & Spikes. • Training and Practice Aids. 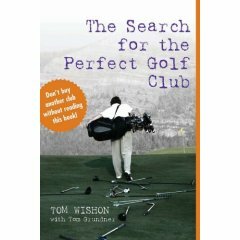 • Books authored by Tom Wishon. • Demo and Pre-owned Clubs at Bargain prices. • Major Brand (OEM) Golf Equipment. • Copies or Clones of Popular OEM Brands. • Balls, clothing, gloves, shoes. 214 Main Street. Between the villages of Lakeville and Salisbury on Routes 44 & 41. The entrance is marked with a sign and two yellow pin markers with yellow & black checkered flags. • If coming through Lakeville the entrance is on the RIGHT - two tenths (.2) of a mile from the Salisbury Central School stoplight. • If coming through Salisbury the entrance is on the LEFT - one tenth (.1) of a mile from The National Iron Bank building (on your right). Remember....Christmas is only Days Away! 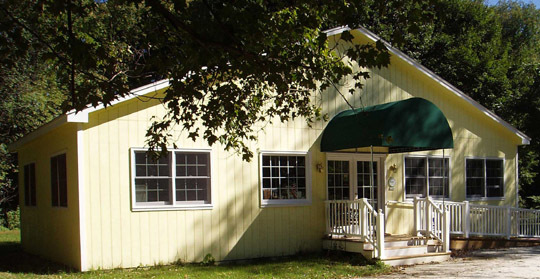 OPEN ALL YEAR, although we do take a holiday from time to time or close the shop to attend technical/training seminars. We are pleased to represent Tom Wishon Golf Technology and have most of their innovative product lineup available to see and test. 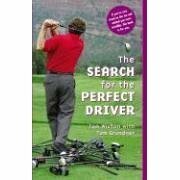 "The Search for the Perfect Golf Club" and "The Search for the Perfect Driver" in stock. We're pleased to be selected by Bag Boy as an authorized dealer for their products. Top models of their carts and bags are now on display. PLUS, the best swing trainer to come along in years (As Seen on TV) the David Leadbetter Swing Setter is in stock. I've recently added the Heavy Putter line to our inventory. 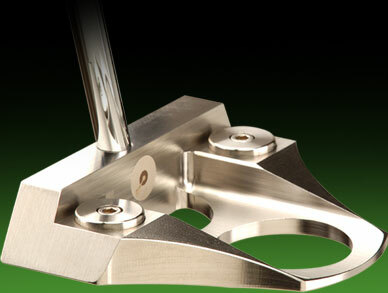 Please visit www.heavyputter.com for further information on this truly unique putter concept. Plus, they're gorgeous with CNC milled 303 Stainless Steel. I would also like to invite you to test one on our indoor putting area, or try one at your local course or club. I think you'll be pleasantly surprised. We now have all models, including the new Matt-finish series, in stock for testing. Click here to see the evolution of our new facility.